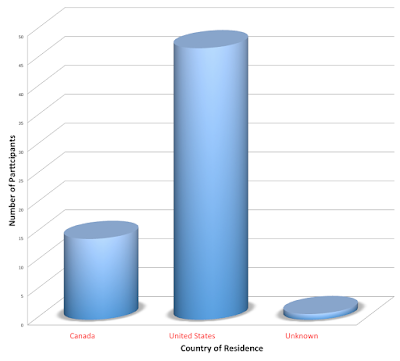 This is the first raw data of an online survey that was first launched on June 23, 2015 to help eligible voters in North America to nominate their two candidates for 2016 North America Chitues. Online Google Form was used as a survey tool to collect the data via Facebook groups such as Tibetan, IMTIBETAN, NY NJ Tibetan College Students, GTPN - North America and North America Tibetan Political Network. Candidates receiving less than or equal to two count of nominations are consolidated into "Others" which is 31% of the total nominations. 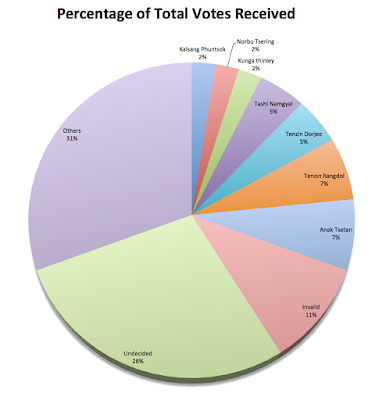 In addition, "Invalid" which is 11% of the total nominations are those that the survey administrator deems invalid for the purpose of this survey such as nominations for survey administrator, Gyari Dolma, Geshe Youngdrung Gyaltsen, Tashi Wangdu and Lobsang Sangay. As you can see from the pie chart, majority of the participants (28%) are still undecided. Among the nominees, Anak Tsetan and Tenzin Rangdol received the largest individual nominations with 7% each; followed by Tenzin Dorjee (Tendor) and Tashi Namgyal with 5% each; and the remaining three candidates (Kalsang Phuntsok, Norbu Tsering and Kunga Thinley) received 2% each of the total nominations. 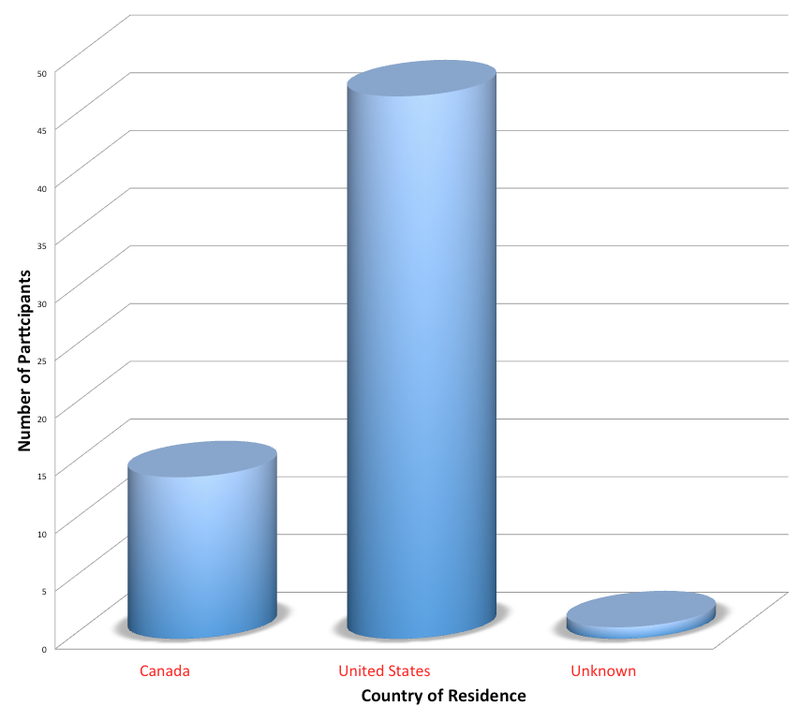 Majority of the participants in this online survey are from the United States. Total participants for this first round of online survey is 62. This online survey has many limitations including the lack of participation from eligible voters. The result generated from these 62 participants is statistically insignificant. During the online survey, participants were not required to identify themselves. They remain anonymous throughout the survey. Happy Birthday Your Holiness The Dalai Lama!